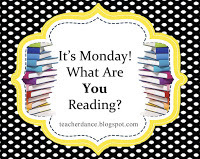 Visit Jen at Teach Mentor Texts and Kellee and Ricki at UnleashingReaders to see what everyone is reading and sharing. 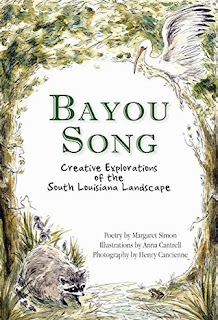 Margaret Simon, blogging at Reflections on The Teche, a poet friend I hope to meet someday, has recently published a poetry book that sings of her home in the Bayou Teche. It echoes the mantra of Richard Louv above, celebrating nature and inspiring everyone to get out there to see, feel, hear, taste and smell nature! I have a few friends who are prepping for a school start in a few weeks. Yes, it's nearly August and some schools begin earlier than can be imagined! This time, I am almost the final part of a blog tour for a marvelous new book that's just right for summer-into-autumn experiences, poetry beginnings, and being inspired by nature wherever one happens to live. Bayou Song: Creative Explorations of the South Louisiana Landscape offers adults and children, teachers and students a mentor text to wander through, learn of this new environment, then to sketch and craft personal poems from the ideas included. 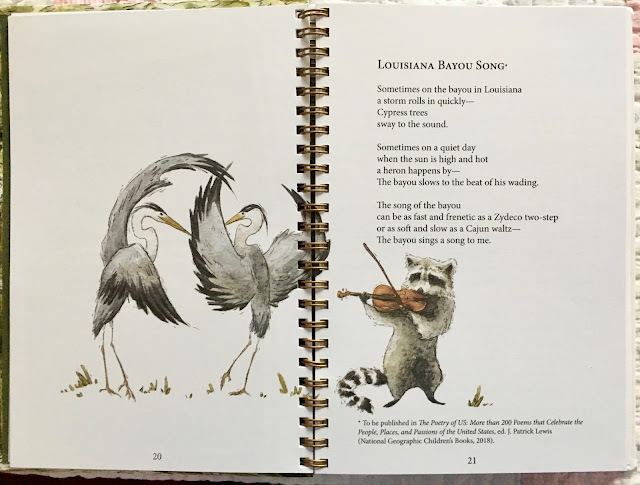 Margaret's introductions of different things in the Bayou like Spanish moss, eagles, great blue herons, and alligators, followed by her poems beautifully illustrated by Anna Cantrell. 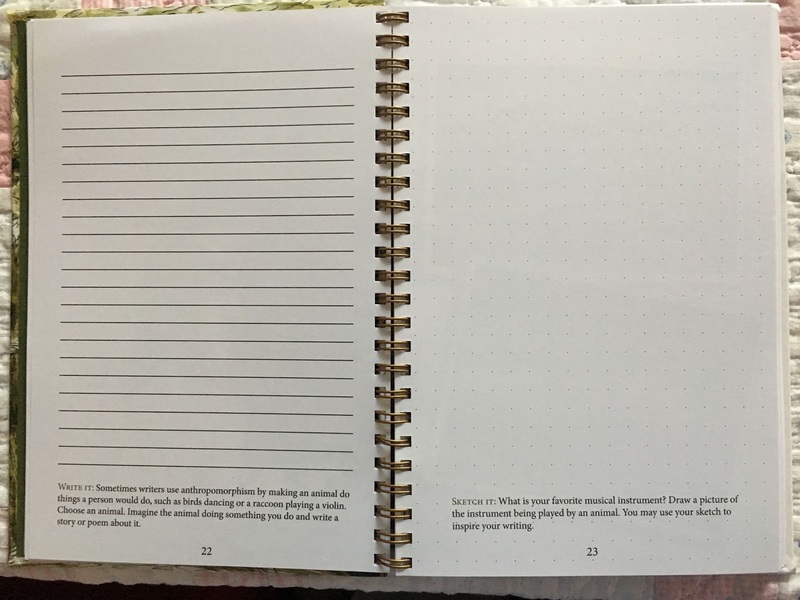 Double-page spreads with brief support, lined and blank ones for writing one's own poem and on the right side, room to sketch. 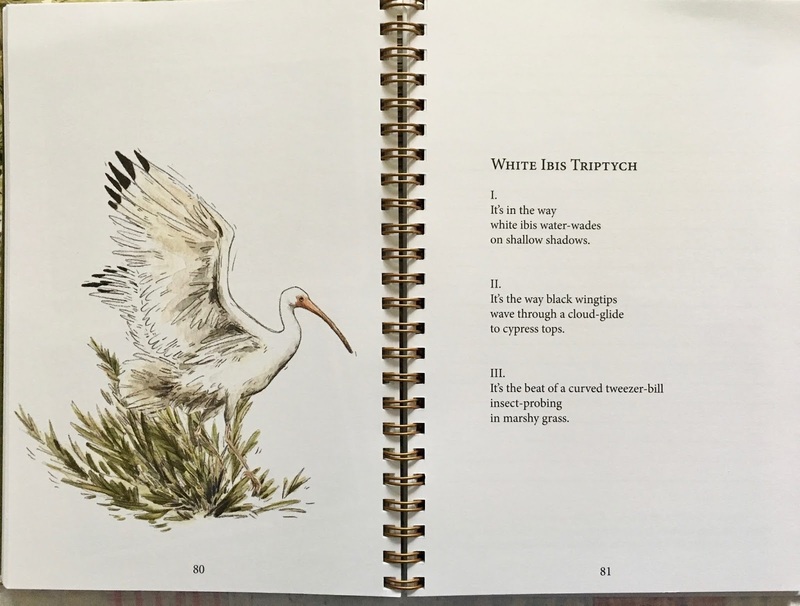 If you have not previously considered nature writing and sketching before with your students, this is a book that will help you begin. Whether by yourself or with your students, you will discover your ability to notice and create new ideas and comparisons when recording observations, then sketching and writing opens new pleasures in your lives. 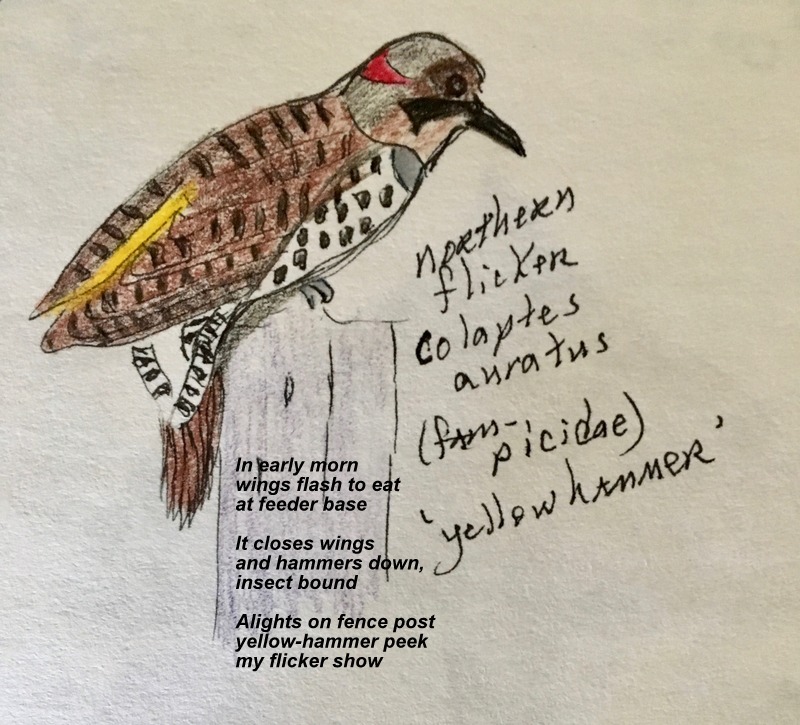 Here is my “try” from a bird I often observe here in Colorado. In my years of teaching, my students and I spent hours in the field observing and recording, writing nature notes, prose and poetry. I wish that I had had Margaret's book during my teaching time. It would have been a joy to use! 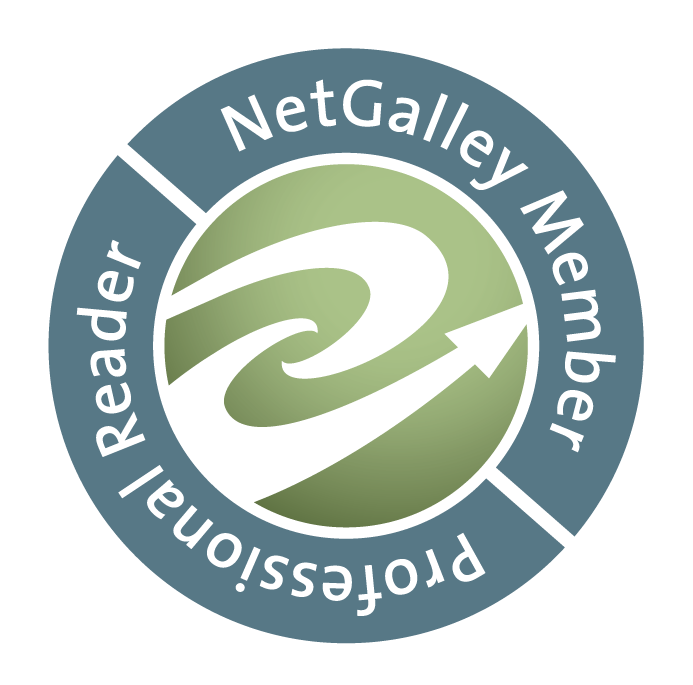 Thanks Margaret for the pleasure of reading and reviewing your book! Best wishes for its landing in the hands of many! Beautiful! My kids are all little artists, so I love this idea. I was just going through my daughter's old journals from when she was 9, 10, 11, etc. and I love that she would write a short page sharing the events of her day, then she'd draw a cartoon sketch of one of the day's events. She and I were laughing so hard while going back through all her notes and drawings!! I really would love to get out with my children and do some good nature sketches. Even my four year old loves sketching, so it's wonderful that this is an activity that could span all age groups. Thanks for sharing, Linda! I imagine that you and your family will love this, Shaye. As I wrote, I wish I had had it when teaching, but now I will use it myself and with the granddaughters! Thanks! Looks like a wonderful way to take one more summer vacation with a book! Thanks for sharing. I'll definitely look for this one! It's terrific, Jana. 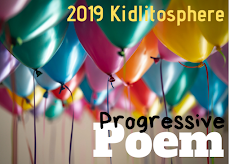 I hope you'll love the poems and art, then use it and treasure what you find to write and sketch! Thanks! This looks so beautiful!! Lovely illustrations, lovely words, perfect combination. It is indeed lovely, Jane. I hope you'll be able to read and soak it all in some time. Thanks! I have been hearing about this book, partly because I follow Margaret on Facebook. I have been lucky to meet her in person at NCTE last year. Sounds like a beautiful book! It is gorgeous and I love that she has added pages for writing and sketching, too. How wonderful that you got to meet her, Lisa. Thanks so much for this lovely review. I love your poem and your drawing is excellent. My hope for this book is that it will inspire more creativity in the world. You are welcome, Margaret. I love the book, hope that it reaches so many & inspires them over and over!